Hand-held gyrostabilisers for binoculars and cameras have been around since the 1950’s and have been used extensively in the film industry as a means to stabilise the video footage. There are numerous scenarios where the camera is being buffeted causing unwanted blurring or shaking. In many cases gyrostabilizers enable shots that would otherwise be impossible. For example the chase scene in the forest from the film Return of the Jedi required an ultra-smooth shot as the cameraman walked/ran through the forest floor. The footage was then sped up giving the illusions of a fast smooth but intense chase scene. 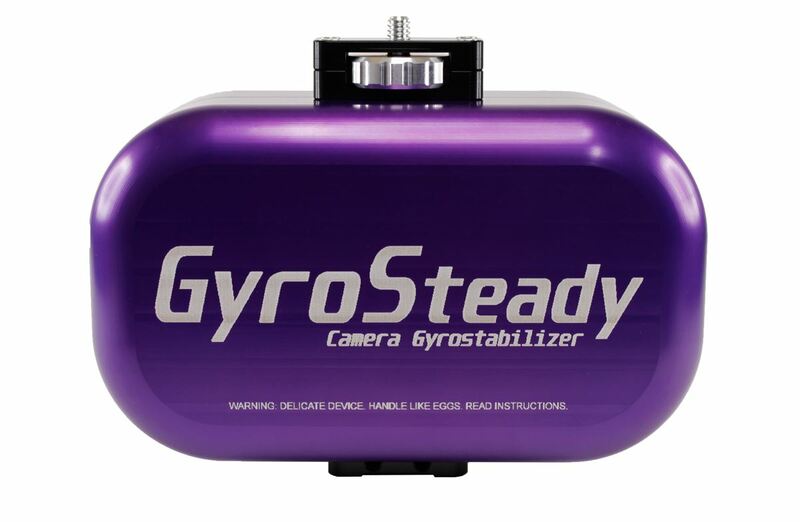 The concept is simple; A gyrostabiliser connected to camera gives stabilization resisting moving in given directions. 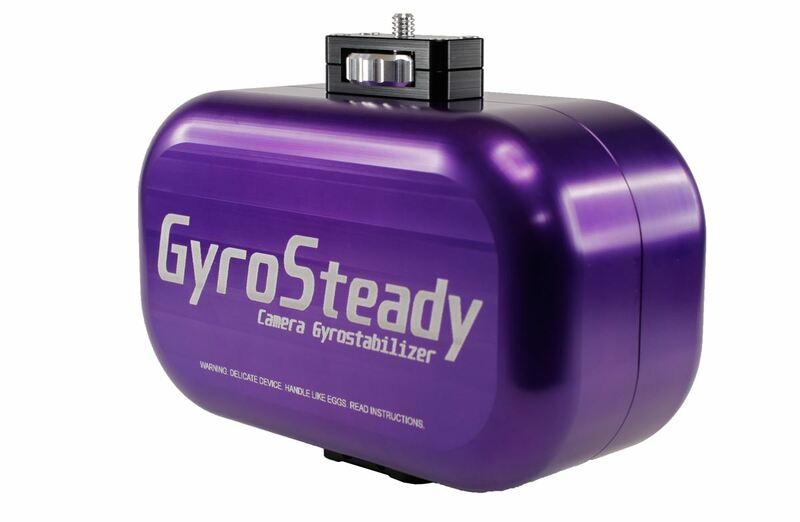 Each gyrostabiliser unit provides stabilization on single axis, either pitch, yaw or roll depending how you choose to mount it. You can also stack multiple gyrostabilisers together providing stabilization on extra axis/axes. Fittings are built-in into the gyrostabilizer to mount two together for both pitch and yaw axis. So In other words it helps with twisting motions left/right and twisting up/down. If the roll axis needs to be stabilized too (rare) a third gyrostabilizer needs to be added (no mounts to do this can be provided at present). 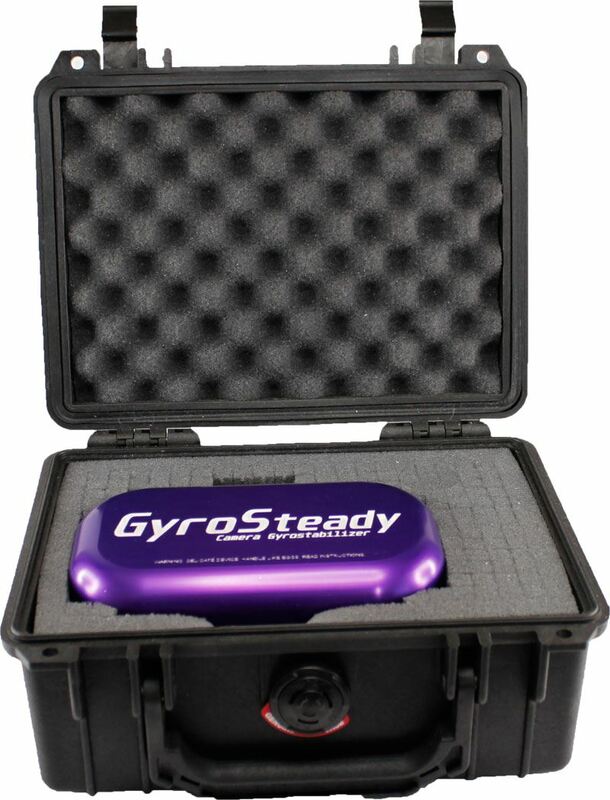 Until now the gyrostabilizers have inherently expensive and only affordable to serious professionals. Development of a lower cost gyrostabilizer is being finished. Weight: 1440grams (about 3.2lb). Excludes battery.